Olympic medallist wrestler Sushil Kumar today lost a legal battle in the Delhi High Court which dismissed his plea for selection trial for Rio games observing it may “jeopardise” the chances of selected candidate Narsingh Pancham Yadav and the country would be the “loser”. Justice Manmohan acknowledged Sushil’s feats in the international arena and termed him a “legendary wrestler” in 66 kg weight category but did not allow him to have a chance to compete for the Olympic berth in the 74 kg category. 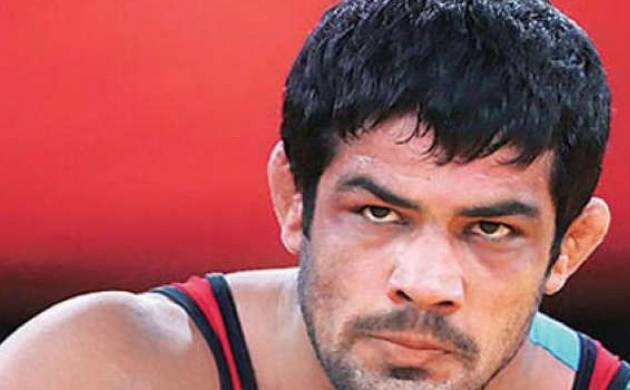 The court said that Sushil’s petition seeking a direction to the Wrestling Federation of India (WFI) to hold a selection trial to decide who will represent India in 74 kg freestyle category at the Rio Olympics was “untenable in law as well as contrary to facts”. “In international arena of sports, medals are won not only by ‘brawn’ but also by ‘brain’. The last minute challenge to selection can disturb the mental preparation of the selected. “Consequently, a sportsperson innocently asking for ‘just a trial’ may be jeopardising the chances of the selected candidate to win, having disastrous consequences for national interest. In the duel asked for, the country will be the loser,” the court said. “Keeping in view the conclusions reached above, the petitioner’s (Sushil) prayer for a trial is untenable in law as well as contrary to facts. Accordingly, present writ petition and applications are dismissed,” it said. In its 37-page judgement, the court observed that the WFI has adopted a “reasonable, transparent and fair procedure” in selecting Yadav as India’s representative to Rio Olympics in the 74 kg category. “The system suggested by the petitioner (Sushil) of having trials after the qualification event cannot be accepted as the sole method for selection as it implies that the country would not send its best athlete to secure a place for itself in Olympics,” it said. The court said though Sushil has won a number of laurels for India in 66 kg weight category but on consistent current form, WFI’s opinion that Yadav “is better is not unreasonable or perverse”. Meanwhile, the court also issued notice to WFI’s Vice President Raj Singh asking him why perjury proceedings should not be initiated against him for giving false affidavit before it. 06061657 “In the present instance, respondent no.5 (Yadav) after winning a bronze medal in World Championship September 2015 is being given meticulous training by the concerned authority so that he is best prepared to represent the country in the Olympics,” it said. The court termed as “unfortunate” that 66 kg category was abolished in January 2014 and Sushil was forced to play in 74 kg weight category but noted that Sushil has not won any major national or international tournament since September 2014. It said WFI had conducted a fair selection trial prior to World Wrestling Championship 2015, the qualification event, to ensure that the best athlete represents India so that there was a chance to secure a berth in the Olympics. The court said the decision regarding who should represent the country in “a sporting event is best left to the experts i.e. the concerned national sports federation”. “Power and responsibility go hand in hand. The National Sports Federation cannot be held responsible for performance of its athletes, if it does not have power to select them according to a flexible procedure as long as the same is fair, transparent, reasonable and consistent,” it said. “Keeping in view the aforesaid, this court is of the view that a writ court will not interfere in the exercise of discretion of National Sports Federation and substitute its own judgment except where the discretion is shown to have been exercised in an arbitrary or capricious or perverse manner or contrary to settled principles or practices,” it said. The court noted that initially no allegation of bias or prejudice was made against WFI in the plea and later Sushil, in his rejoinder, had alleged that the federation has targeted him for not participating in Pro-Wrestling League. It, however, said that the allegation, in the absence of any contemporaneous document, “inspires no confidence”.